If you have ever gawped at the sight of a dragonfly whizzing past you in all its colorful aerodynamic glory, then you will enjoy this film immensely. It has some of the best macrophotography of the dragonfly in all its stages that I have ever seen. Plus it answers all the questions you might have about the life cycle of this ancient creature which has survived virtually unchanged for millions of years. However, the part that I found most fascinating was the part of the film which describes how dragonflies live most of their lives as nymphs and that a number of different species can live side by side during this stage (even though they don’t mind the off foray in to cannibalism). One thing I certainly did not know is that during this period of their lives they have a lower jaw which they can extend suddenly and swiftly, like a hydraulic ramp, to catch prey that would otherwise be just out of their reach. It is quite a sight. 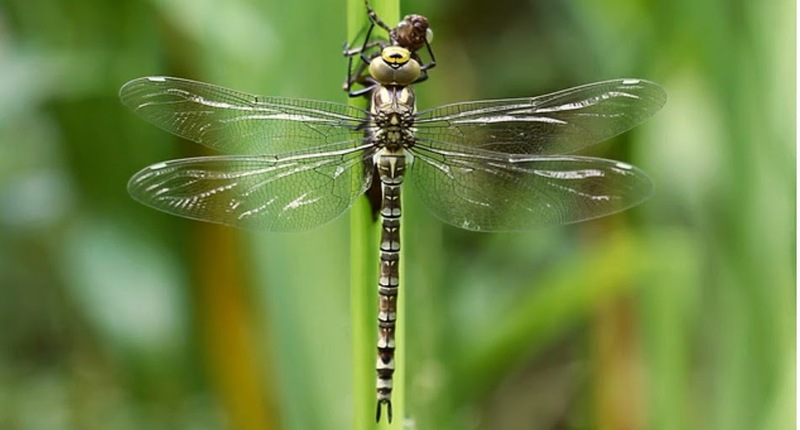 The amazing facts about dragonflies do not stop there and after they come in to their brief adult phase each species seems to have its own interesting variation on the mating game. The documentary takes us throughout the year to the inevitable demise of the adults. However, below the placid waters of British ponds a vicious fight for survival continues. Created by Andy Holt of Wild Life Lens, Dragonfly has been awarded Best Documentary at the BIAFF (British International Amateur Film Festival) 2014 Film Festival.